There was a particular genre of games, a rather niche genre, that existed in my gaming youth. It could best be described as "action flight simulator" and while it hasn't carried forward into today's gaming market as readily as the 'shmups and platformers, many of its ideas and mechanics can be found in modern flight sims. 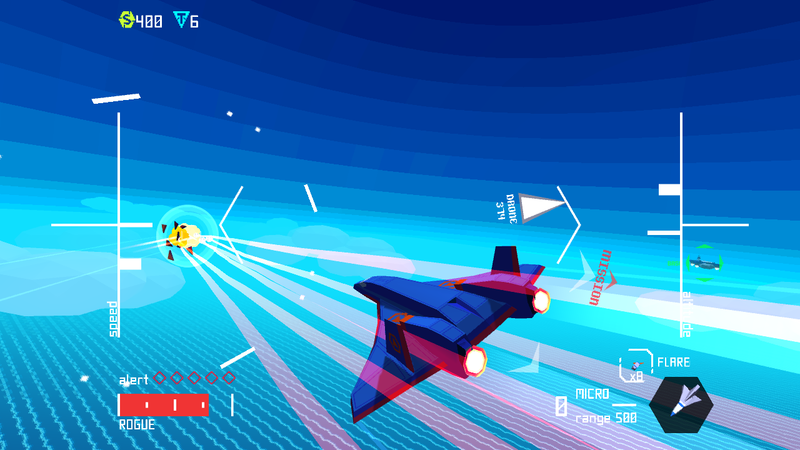 Kenneth Backus, the one-man development team behind Sky Rogue, shares with us his history with this particular genre and how he's bringing it back. If you were a gaming enthusiast in the late ‘80s or early ’90s, you may fondly remember spending far too much time in stores which were entirely devoted to PC games, something that would be a living fossil in today’s world of instant downloads, paperless trading cards, and moderately humble bundles. The boxes were colossal, almost the size of a laptop screen, and contained hefty stacks of floppy disks (now known as “3d-printed save icons”), or along with a printed, often lavishly illustrated instruction manual. You would actually need to read the manual, both to have some hope of knowing how to play the game (tutorials were a largely unknown species), and to proceed past the copy-protection quiz that greeted you every time you started the game, a primitive and often endearing form of DRM. Alongside the “Doom clones”, Gold Box RPGs, and so-called “real-time” strategy games (as opposed to wargames… “turn-based strategy” had not yet entered the gamer patois), among the lavishly coloured cardboard boxes that dwarfed their console cousins, you could find a genre of game that’s now considered niche, and that rarely, if ever, finds a few moments in the spotlight: the flight simulator. To call the graphics simplistic was an understatement. 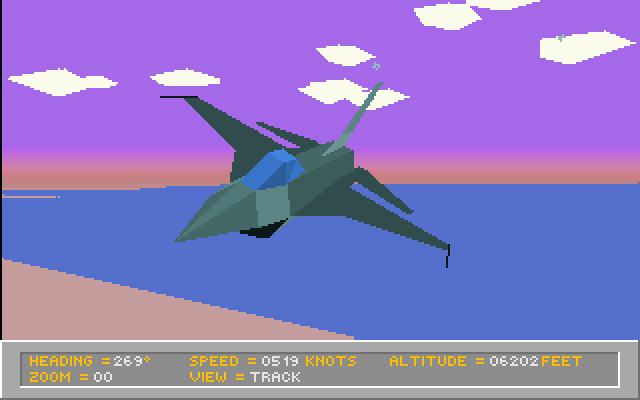 These were some of the very first 3D games on the market, so merely being able to render a clash of polygons floating over a featureless coloured plane was an accomplishment. Since there were no textures, the ground would often have a grid of dots drawn over it so you could sense how far away you were. You would need to pore over the manual carefully to learn all of the numerous control bindings: raise/lower landing gear, raise/lower flaps, switch weapons, switch radar mode, adjust aileron trim, the list goes on. In doing so, they certainly get more back to the basics of the ‘90s ancestors more than today’s properly-simulating flight simulator, but often lack the spirit of freedom, experimentation, and “making your own fun” that the sparsely-populated sims of yore would have simply due to the limitations in hardware and dev team size. 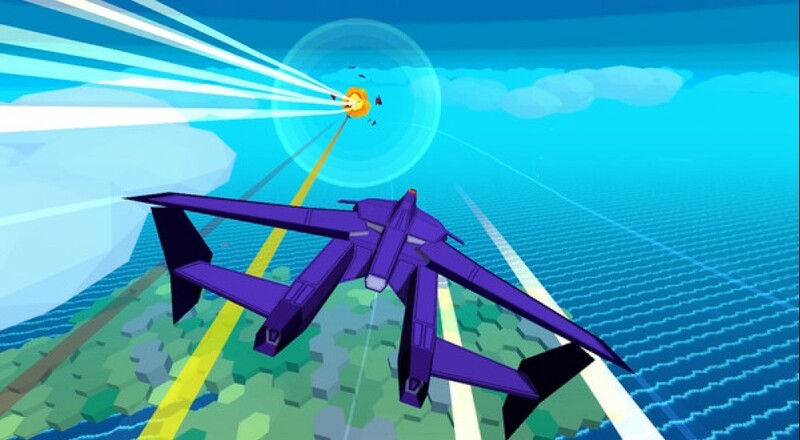 This is where Sky Rogue gets its inspiration, not just from the clean, sharp lines of flat-shaded polygons, but from the balance of space, unpredictability, action, and technicality that you might get from F-15 Strike Eagle III, A-10 Tank Killer, or Chuck Yaeger’s Air Combat. Explore another gaming family tree whose roots run deep, the “roguelike”, and you’ll find Sky Rogue’s other source of inspiration. Page created in 1.2884 seconds.